What happened when a woman laid her hands on a dying man as he was leaving his body? This is the hypnotically-written true story of author Catherine Grace Landry's journey of soul loss, retrieval, and awakening. A small but powerful mind-body-spirit book, this powerful story will help you to connect with your true life purpose. Containing deeply shamanic dreams and messages, this is the true account of the extraordinary, gifted in an even more extraordinary way, through an ordinary man. Welcome to The Way of the Simple Soul, a blueprint for working directly with your soul to achieve profound joy and immeasurable inner peace. This is a traveler s guide for seekers, a quenching experience for the spiritually thirsty, and an inspiring template for lightkeepers who want to deepen their sense of something transcendent. This is a work meant to be read by anyone who wants a meaningful and intimate relationship with their soul. 2018 American Book Fest Finalist, New Age Non-Fiction. 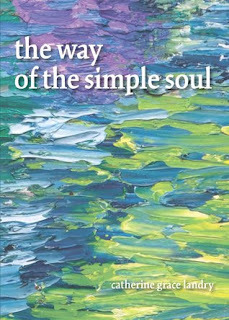 The Way of the Simple Soul is nothing short of brilliant. A powerful and moving tale of reconnecting with one's higher self. Starting with a few parting words from a dying man, Landry embarks on a journey that is both amazing and relatable. A perfect way to learn more about your higher self, and how to reconnect with that higher plane of reality. About the Author: Catherine Grace Landry is a qualified shamanic practitioner, crystal energy therapist, Kundalini yoga instructor, and personal power guide. She is currently writing the second book of The Way trilogy, The Way of the Lightkeeper.